Papier is the first high-end illustration magazine. For the PROVOCATION issue, we have gathered 48 illustrators from all around the world. PAPIER was born at Dimanche Studio, from the love of its founders for illustration. The format (28x38cm closed) and the quality of the printing, makes it a unique object on the market. We invite illustrators, who have an influence and originality in contemporary illustration, from different countries, to create an original artwork for the magazine. For the 3d issue of PAPIER Magazine, Kahl Editions is glad to collaborate with Dimanche Studio. With each issue is a new theme. 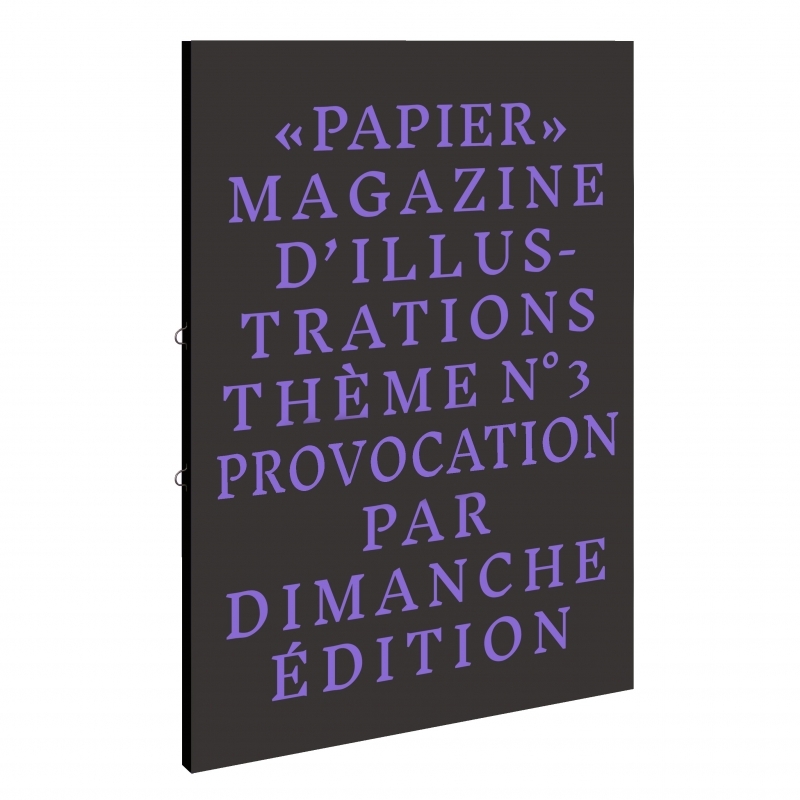 The theme for PAPIER 03 is PROVOCATION.